Taday, we want to share Some Interesting Benefits When Switch to Vaping. The electronic cigarette is one of the best new products currently on the market despite having ignited a firestorm of controversy. Electronic cigarettes have one clear purpose: they were created so smokers would have an alternative to the burning, stench spreading and ash producing conventional cigarette. 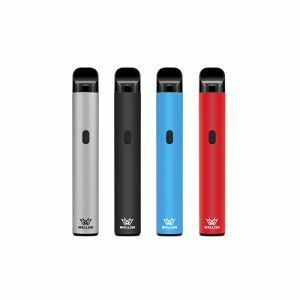 Have you Attempt New way for vape quit smoking? Back the Interesting Benefits When Switch to Vaping topic, Here we go. Making the choice to switch to e-cigarettes is a big one. Sticking to it will surely lift your self-confidence allowing you to make healthier life choices like exercising and eating right! These in turn will give you more energy to do the things you’ve always wanted to! Your mouth no longer smells “dead rat”. Every mouth deserves to be kissed sometimes. Thanks to vaping, you’ll forget how “dead rat” smell and yellow teeth look like. After you switch from regular cigarettes to e-cigarettes, your hands no longer have those tobacco stains and lingering smell from all that smoke. With clean, stain-free hands, you can confidently lean in to that firm handshake! Another great side-effect of switching to the e-cig is clean, white teeth. No more tar-stained teeth, no more scaling. You will no longer have to worry about smiling and having everyone stare at your stained teeth. From now on, smile all you want and you’ll notice others smiling back at you. Say goodbye to those annoying burn marks on your clothes, sofas and other things. USB charges every time during the party. Every vaper always has a charger for his or her Vape device. And of course, if your friend’s mobile phone needs to be charged, you’ll be a hero and save the device! Electrical knowledge equal electrical power! You will definitely agree with us – you knew less about electricity in school, than you do now. Oh, it is quite clear here, isn’t it? Vape language looks like Morse code for other people. And only you and your vape friends can understand each other. A lot of water inside of you after you love vaping day. In order to be healthy, you need to drink water… a lot. There’s no denying that a couple long drugs will leave you with a dry mouth. But this just gives you an excuse to keep a bottle of water with you at all times… and drink. This is just a small part of some interesting benefits we obtain when switching to warping. If you have any question about Benefits of Vaping or Vape101, please do not hesitate to ask Wellon e-cigarette experts. Previous PostHow to judge good e-cigarette wholesale supplier by mail? Next PostWhy you should Talk to your e-cigarette wholesale supplier?